Picture a Day - The Holy Land Revealed: WW100: Were Jewish Soldiers in the British Army Permitted to Celebrate Passover in Jerusalem in 1918? 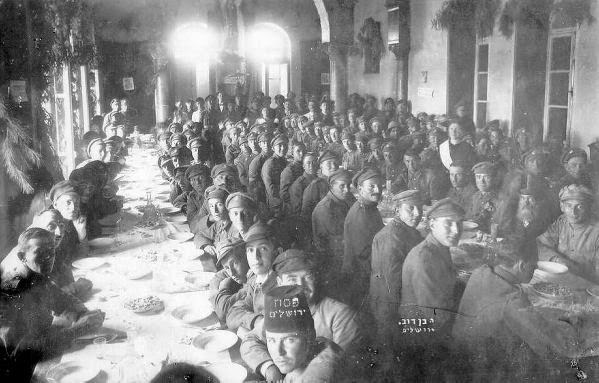 WW100: Were Jewish Soldiers in the British Army Permitted to Celebrate Passover in Jerusalem in 1918? 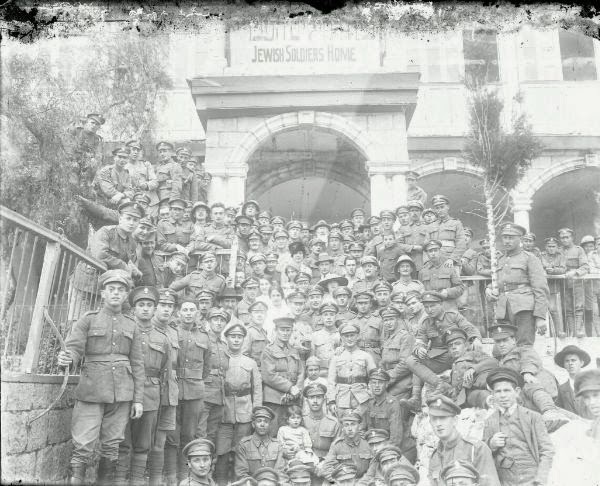 Individual Jewish soldiers served in the ranks of the armies of Great Britain, Australia and New Zealand and were involved in the 1917 battles in locations such as Be'er Sheva and Rishon LeZion. Another large group of Jews served in the British army's Jewish Legion, commanded by Col. John Henry Patterson and involved in combat after arriving in Palestine in 1918. 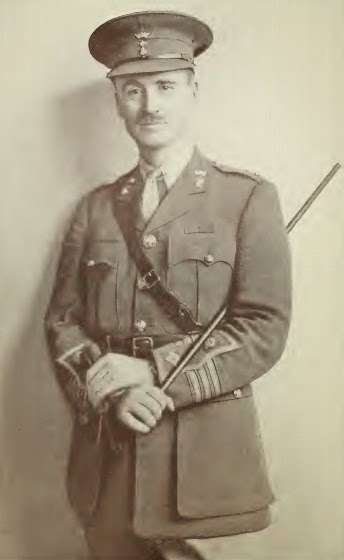 According to Patterson's memoirs, 2,000 soldiers were under his command. soldiers were from many army units, including ANZAC and Scottish, and not necessarily from the Jewish Legion. In Patterson's own words, the new sovereign of Palestine -- the British army -- continued the Ottomans' anti-Semitic practices against the Jews. Patterson's fury could barely be contained when his Jewish soldiers suffered from vicious anti-Semitism within the army and from British commanders. The caption reads: "Jewish Legion soldier (sic) during Passover in Jerusalem." Clearly, this is not Jerusalem. The library description of the photo also includes "Judean Hills region," a more likely setting. Did I read that only the walled section was off-limits in Jerusalem? and btw, Helmieh is in Egypt so the story gets very convoluted. It would seem odd that having arrived in Eretz-Yisrael that they were then transported back to Egypt, no? 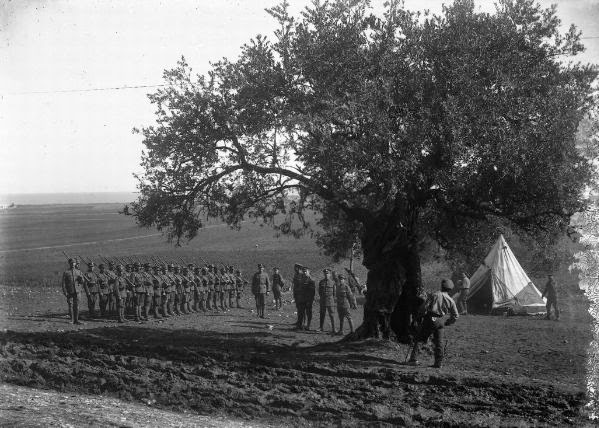 Quite simple: A special visit of Jewish soldiers from various units was organized during Pesach 1918 (Documentation exists). At that time, the 38th battalion didn't exist yet. Patterson's remarks relate to Passover 1919.